Beautiful Art Photo Mugs are Now on Sale! Most of us drink coffee or tea so mugs are surely a staple in the kitchen. So what would make a perfect gift but a special art photo by Donald Verger? Something to appreciate twice over while sipping a favorite cup of java. These beautiful mugs are currently on sale! The familiar sea glass mug above is the companion mug to his very special bestselling Of Love & Sea Glass : Inspirational Quotes and Treasures from the Sea giftbook. This mug makes a beautiful pairing with the book. 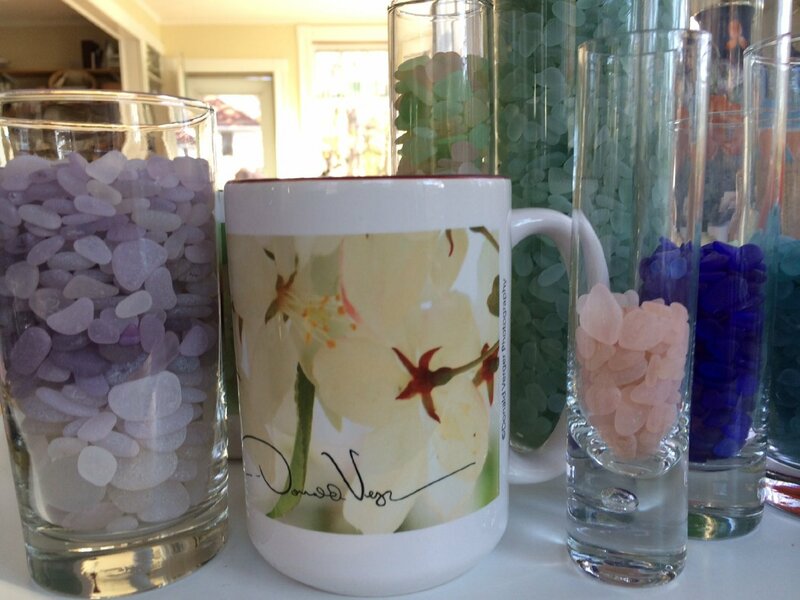 There are other sea glass designer mugs by this master photographer. Other mugs feature some of the most beloved of his landscape and nature photographs. They are all currently on sale for just $12.95. Isn’t it hard to pick a favorite?